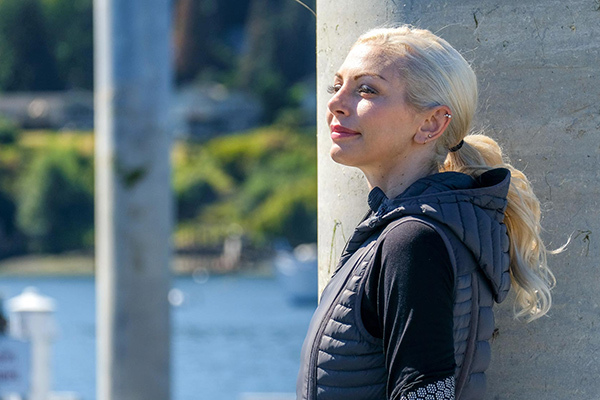 LilaJune Skincare Founder Jennie Townsan is a highly regarded aesthetician and owner of LilaJune Skincare & Nail Studio, located on beautiful Bainbridge Island, just a 30-minute ferry ride from Seattle. Jennie has always believed that skincare should be simple and effective without harsh chemicals and preservatives. She spent her career sourcing the best products to use in her salons. But, it was the pending birth of her second daughter, the namesake of her brand, that finally propelled her to create exactly what she’d been looking for, a product line with clean and natural ingredients that she could safely use on her skin during pregnancy and beyond. Jennie immersed herself in books and research to identify and source high quality and effective ingredients before embarking on this new endeavor. She then took her extensive knowledge and years of experience as an aesthetician and collaborated with a local environmental chemist. They created a line of products packed full of real ingredients, each targeted at repairing, hydrating, and regenerating the skin. As part of her beauty regime and daily living, Jennie incorporates gratitude. She has found that this daily ritual helped her achieve both and inner and outer glow. Because gratitude has made such a difference in her life, she is passionate about sharing this with her customers and does so by including gratitude stickers with each LilaJune Skincare purchase to remind us of how this simple task can help us achieve the LilaJune Glow. Since 2012, Jennie has used LilaJune Skincare on her clients and earned a devoted following. LilaJune Skincare is made using as many locally sourced ingredients as possible and then handcrafted in small batches in Port Townsend, Washington.